Previously I posted about our expanded line of Base and Bling collection. You can see all the details of the product line along with a how-to video here. But today I wanted to show you some more options when designing your own unique jewelry! First, let me apologize for the DUST in the pictures! It's not so noticeable to the naked eye, but the camera brings out every detail agains the black fabric! Ugh! Sorry…. The style sheets that are designed especially for this product - and coordinate with the different charm sets - fit perfectly in either the square or circle pennant. However, when using the circle, you want to be careful to use a design that won't chop off text as you round the sides. And all it takes is a little Liquid Glass to adhere the glass cover for added dimension and shine! I LOVE using a photo of loved ones or your favorite place or thing or scripture verse! When using something other than a style sheet, you want to use the Base and Bling Adhesive circles rather than the Liquid Glass to avoid the colors running. The adhesive circles work GREAT! In addition to the style sheets and photos, you can also look around at your accessories and find something that will work perfectly! Here I chose one of the Jubilee Assortment badges that fits perfectly inside the circle pennant! I added a red resin flower to the center just for a pop of color! Try using silk flowers or resin flowers or other accessories! Personally, I think I would prefer a sliver glitter sparkle or something more subtle with the soft blue. How about using just the charms without a pennant? 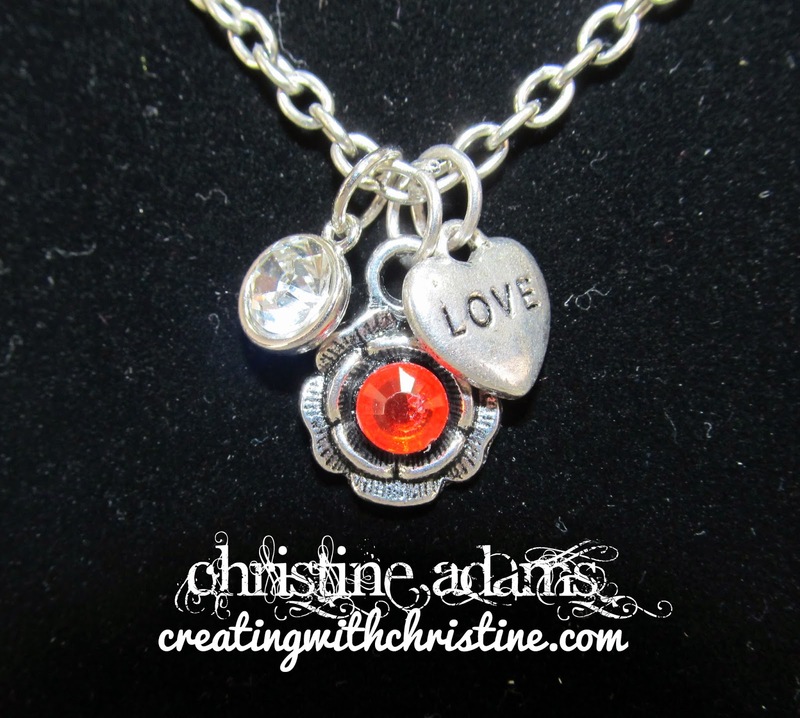 Here are 3 charms - rhinestone, flower, heart. 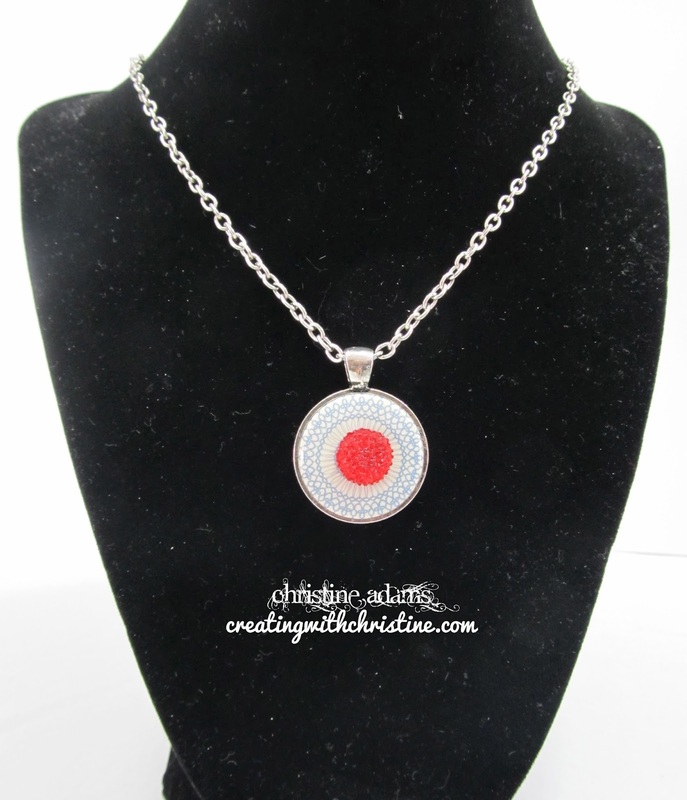 I added a red sparkle to the center of the flower for a pop of color! 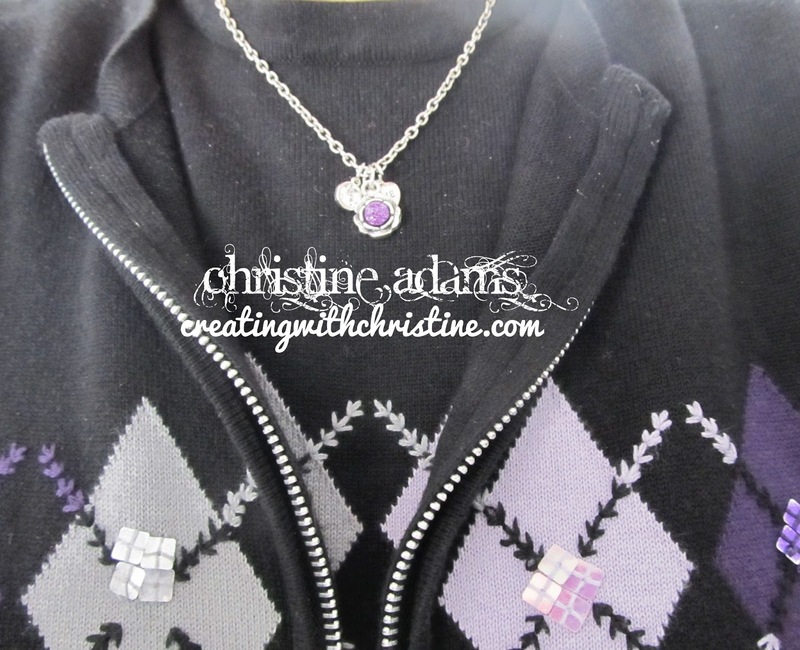 Today I am wearing a sweater with purple in it, so I simply removed the red sparkle and added a purple sparkle! So cool! 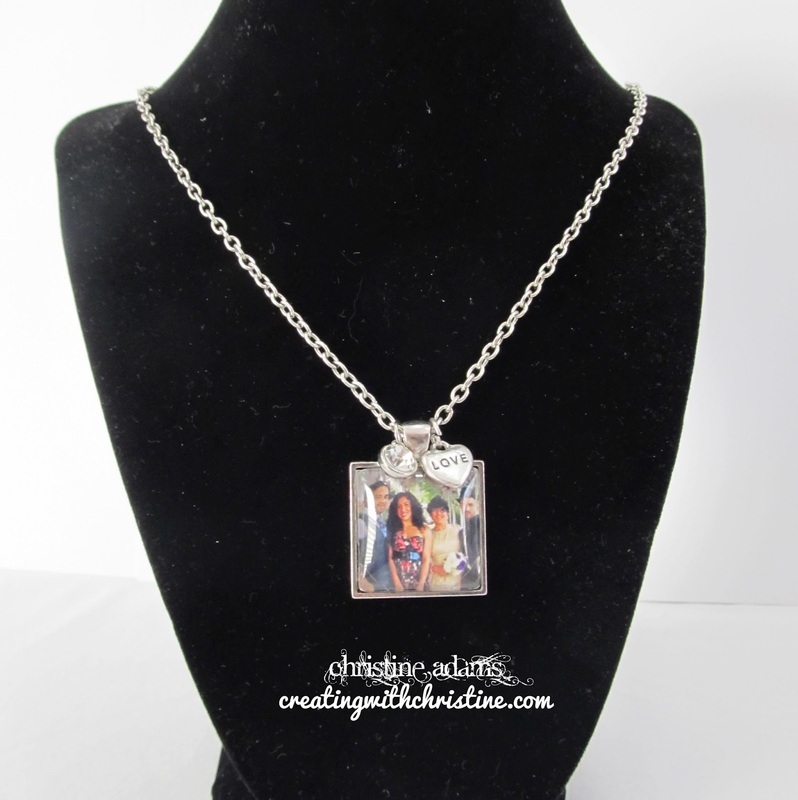 How would you like to create your very own jewelry for every occasion and every outfit? It's easy with our new Base and Bling Collection! And it's appropriate for any age! AND it is extremely affordable! OR come to my open house on March 21-22 to create your own - buffet style! Watch for details coming soon. Can't wait? Or not local? 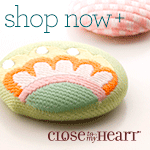 Click here to start shopping for the pieces you want to have on hand now. All you need is to choose either one gold or silver chain, then a package of either circle or square pennants. 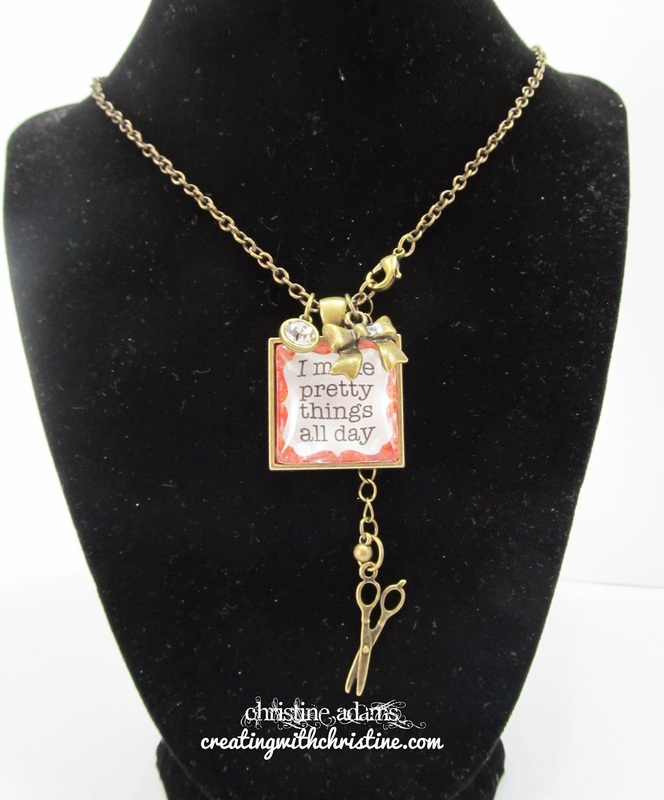 They come in a 3-pack, so you can design 3 different necklaces to change out each day! Then choose the optional accessories you want to use - style sheets, charms, accessories - all of which come with several items which will allow you to design several different pieces to change out each day! I'd love to see what you come up with!